There are many alcohol and drug rehabs but no results, which leads many to believing that they will never get well. This page is written to address about 80% of the parents, loved ones and addicts that are wondering what went wrong when they went to treatment, but didn’t get better, or if they did, it was short-lived and now they are probably worse. It is an outrage and an embarrassment that the alcohol and drug rehab and treatment field can continue to stay in business while having outcomes at a range of 5 to 10%. You find the same old, tiresome excuses that almost always blame either the addict or the “disease”. Getting addiction categorized as a disease by the American Medical Association nearly fifty years ago was a typical AMA strategy. Anytime you can’t cure something, you label it a chronic disease and if you want to remove more professional responsibility, label it as a progressive disease, meaning that it gets worse in time. That is how most “professional” view alcoholism and drug addiction; as a chronic (never getting well) and progressive (continually getting worse) disease. Therefore, who is to blame? When the treatment centers and the counselors don’t have success, you will be told that: “the addict wasn’t ready”, “he hadn’t hit bottom”, or “his disease is really too strong and he may die before he will get well.” These excuses for not taking responsibility for their poor outcomes are exactly what most loved ones will hear when they question why they investment in time and major-money didn’t get a positive outcome. I know. Even though I was a leader in the alcohol and drug rehab field, I also had a family member that went to three of the best (not) treatment centers in America, to only be given those lame excuses. Never once did anyone say that it was their lack of knowledge or show any self-examination that would, at least, give me the idea that they felt some of our pain. Instead, they appear overworked and judgmental. We were written off as a dysfunctional family that shouldn’t expect anything other than what we got. However, I have never been someone that accepted failure and maybe because I was promoted to a leadership position in this field, but I was determined to either find something that would work or try something different myself. I felt that I couldn’t do worse. So I began visiting treatment programs. Luckily, I was hired to do surveys or programs for accreditation, because I couldn’t have afforded to visit the 150+ programs that I saw throughout the US and Europe on my own dime. What I found saved my family member’s life, because we finally found programs that work. That was twenty-two years ago and she is still fine today. So what was the main difference…? First of all, effective programs don’t look at the similarities of alcoholics and addicts and say that is how the disease expresses itself, in fact, they don’t even subscribe to the disease model. 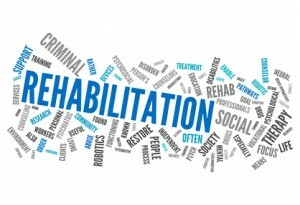 Instead, they look at what it will take to rehabilitate each client and they individualize their care so that it works individually and for everyone. There are some things that all alcoholics and addicts have in common.. they are all toxic from poisoning themselves with their Drug of Choice. It makes sense that you can’t get someone to figure out how to live differently or to confront all of their past transgressions unless they are at the top of the game physically. So, they start by getting the body healthy and detoxing it thoroughly. Not just five to ten days in detox, but as many 45 to 60 days, or whatever it takes to bring back the brightness that was originally part of the person’s makeup. When interviewing the patients after this part of the programs, they weren’t talking about how hard it was going to be to go to meetings and change friends and to have live with their disease, but they were saying that they felt better than they had in years! Wouldn’t you love to hear that from the loved one that you have been trying to help? When a person no longer feels toxic and beaten by the poison chemicals in their bodies, they are able to project and dream about having a normal and productive life. At that point you can get them to accept responsibility for their behaviors and they will and they will change destructive behaviors and you will again see the kindness that you haven’t seen coming from them in years. I have met thousands of addicts in my career, but I have never seen one that wasn’t a kind and caring person, once they freed themselves from the compulsions of needing their drugs and hurting others to get them. Living the life of an addict is a miserable existence and they know it. That is one reason that they are so angry at everyone and everything. They have to find some justifications for the continued pain that life as become. What I didn’t expect to experience is the attacks that I have gotten from everywhere because I support something that isn’t main-stream. I guess that I learned something about mankind that I hadn’t experienced before. But once you have found a better mousetrap, there is no way that you are going to use the old, inferior one. Remember, you have every right to be angry at the fact that you haven’t seen success and the money and effort that families put into programs that are doomed from the beginning, breaks my heart. I should be retired now, but I will never stop spreading the truth and no matter what attacks come my way, I will continue to lead people through the successes that we had in our family. Everyday we are thankful for our lives and the Blessings that we got from not giving up. Be made, but don’t be afraid and don’t listen to your fears or those of the media other fear-mongers. There are programs that work and you can get into them if you don’t give up! Our Drug Rehab Center Network (1-888-781-7060) is managed by the PITA (Prevention, Intervention, Treatment and Aftercare) Group, Inc., a non-profit alcohol and drug rehab certification and accreditation company with 24 years of experience in evaluating over 150 rehab programs on site. You will speak to an experienced, high-level, licensed and certified therapist with a minimum of a Master’s Degree in the addiction field and a minimum of 20 years experience. GET THE FACTS, NOT AN OPINION. Get the information you need to get past this problem and have a life and a family that is whole again! The Drug Rehab Center Network provides rehabilitation services for alcoholism, drug addiction and referrals for those with a dual-diagnosis, who need mental health and alcohol and drug treatment. Without the help of this site and the alcohol and drug professionals that answer our phones, it is nearly impossible to find an effective drug treatment centers or rehab programs. In fact, the author of this site had been a leader in the drug addiction treatment field for over 20 years, but when he was faced with finding an effective alcohol or drug rehabilitation program for his family member, he didn’t have a clue on which drug rehab centers were effective and which ones to avoid. Because of his ignorance, and not having anyone to turn to with better advice, his family member attended three, 30-day alcohol and drug rehab centers, failing and getting worse and more despondent each time. This is a man that was on the faculty of a prominent medical school, he had been the director of substance abuse treatment and prevention for a state’s health department, he had insurance and finances to choose any drug rehab center in the nation, and he still chose drug treatment centers that were ineffective. After 28-days in a CRC rehab center and the subsequent relapse, he was told that his family member’s disease is so bad that he needs to start the grieving process. The good news is that after years of researching over 150 treatment programs and drug rehab centers, he found out what drug rehab centers work, his loved one has been well for over twenty-years and this website is his payback to help others to keep from having an experience like his or, God Forbid, even worse. Needless to say, he would love to help you. Drug Rehab Center Network is a comprehensive website with the resources to answer any of your questions regarding prevention, intervention treatment and aftercare (PITA). From this site you have the most comprehensive resource available for finding drug rehab centers, alcohol rehab centers,drug treatment programs, intervention services, alcohol and drug assessment services, aftercare services and individual detoxing or withdrawals and drug and alcohol counseling. We have access to over 10,000 rehab programs, from state-funded programs to private long-term addiction treatment in the form of Therapeutic Communities, biophysical treatment centers, or short-term (28-day) conventional treatment centers.